Our second fundraiser for the Gambia 2014 trip has been confirmed! The night will consist of unlimited poker chips (No Risk Gambling! 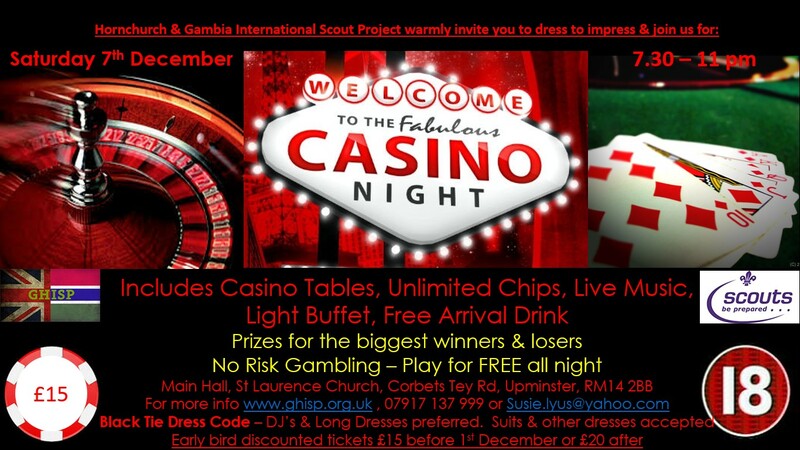 ), table games, a light buffet, and of course prizes for the biggest winners and losers! Items for the raffle, and help with the buffet will be gratefully received. Please do all you can to support this event, it was ran for the last Gambia trip in 2009 and was a great fundraiser for the trip with everyone having a fantastic night, so we look forward to seeing you all there!